Real estate sectoral body CREDAI has urged the state governments to do away with the stamp duty on landed property to eliminate multi-point taxation after the introduction of GST. “CREDAI welcomes introduction of Goods and Services Tax (GST) as a major reform since it integrates all central and state taxes into one comprehensive tax regime for the entire country,” the body said in a statement. However, whereas for all other sectors GST is their total indirect tax liability, for real estate the GST rate is fixed at 12 percent which was only a fraction of its tax burden, CREDAI said. 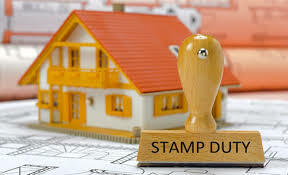 The additional burden on real estate on account of stamp duty averages between 5 percent to 8 percent of the value of the immovable property. CREDAI would, therefore, urge the government to minimize double taxation of real estate by treating land as zero rated under the GST regime. “The positive multiplier effect of real estate on other industries would make up the revenue loss and the nation would be thankful for a tax regime consistent with the objective of Housing for All by 2022,” said Mr Nandu Belani, President, CREDAI Bengal.